Let’s face it, us Kiwis are an intrepid bunch. We love travelling to the far corners of Mother Earth in search of beauty and adventure. But the grass is not always greener—New Zealand is filled with natural wonders that will take your breath away. And so, to remind you of the jaw-dropping splendours that our beautiful country has on offer, we’ve rounded up the ten New Zealand natural wonders you need to see before you die. Spanning a whopping 4.4m in diameter and standing more than 50m tall, Tane Mahuta is truly the Lord of the Forest. Estimated to be around 2000 years old, this kauri tree takes the award for being the tallest tree in the entire country. A no-brainer as one of the best natural wonders of New Zealand, you won’t need a map to find this monstrous landmark. Instead, just a short walk through Northland’s Waipoua Forest will reward you with neck-straining views of this gawp-worthy trunk. It’s enough to make you want to build a treehouse and live in it. Leaving the snow-capped mountains and beauty of Wanaka behind can often leave people feeling sad and regretful. Never fear, because the road out of this picturesque town makes for a whole lotta ‘ooo’s’ and ‘ahhh’s’ all of its own. As one of three roads that crosses over the Southern Alps, the sheer beauty of Haast Pass will leave you breathless. This isolated road will take you through mountains, across bridges and is filled with walks and hikes. Call us crazy and all, but we recommend driving this road after wet weather. Trust us, you’ll be inundated with waterfall after waterfall—so many, we’re certain you’ll lose count. Insert TLC pun here. And, if you’re game, we recommend going to the Blue Pools. Chilly, these crystal-clear gems will make you believe in magic. 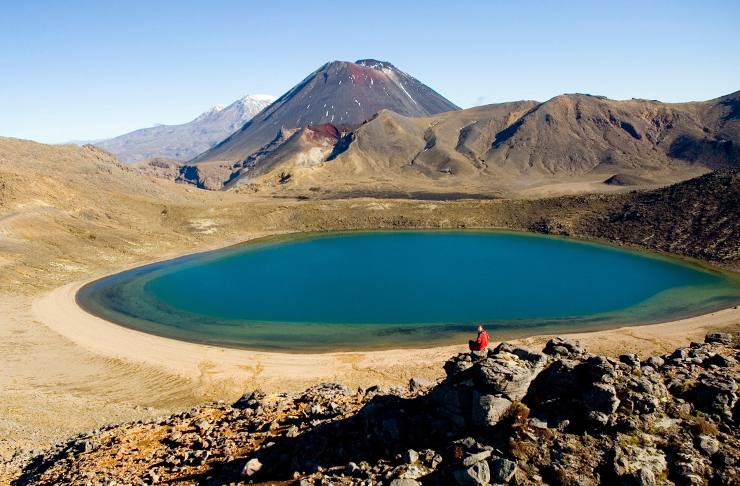 Noted as one of the best day walks in the entire world, it would be beyond rude to not include the Tongariro Alpine Crossing in our list of natural wonders of New Zealand. With brightly-coloured, natural, emerald lakes, vast volcanic landscapes and lava flows, this crossing makes for a magnificent walking adventure. Here you’ll stroll through Lord of the Ring’s territory—make sure you keep an eye out for Lord Sauron! With (hopefully) ample blue skies, jade lakes and mountains as far as the eye can see, you’ve got yourself one heck of an Instagram pic! It's no wonder this is one of New Zealand's natural wonders. What Waiotapu lacks in heavenly scents (damn you sulfur! ), it certainly makes up for in glorious sights and vistas. With bold splashes of burnt oranges, vivid blues and luminous greens making up this geothermal attraction, it’s a natural wonder that definitely deserves a visit. Think spitting, sulfur holes and steamy, rainbow-coloured pools matched with an erupting geyser and you’ve got yourself one heck of a day out. Top tip: pop a peg on your nose to block out those wiffy scents! 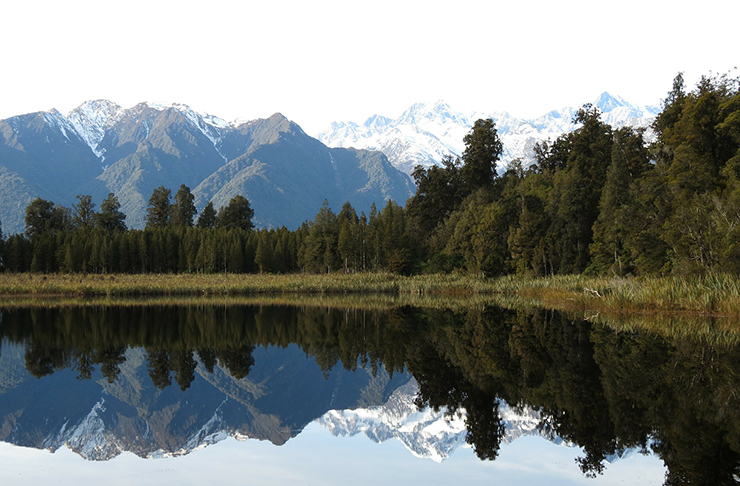 If you’re after that perfect pic to take your DP from zero to hero, then look no further than Lake Matheson. On a calm day, the deep, dark-brown waters make for the ideal surface to project and reflect the perfectly-positioned Mount Cook and fellow mountain areas. Like looking into a mirror, the snow-capped mountains mirror flawlessly into the lake, making for a magical and spell-binding experience unlike any other. Head there as early as poss to truly capture this natural wonder without the hustle and bustle of tourists! Try driving through Moeraki without stopping to stare and clamber on the beach boulders—we dare you! 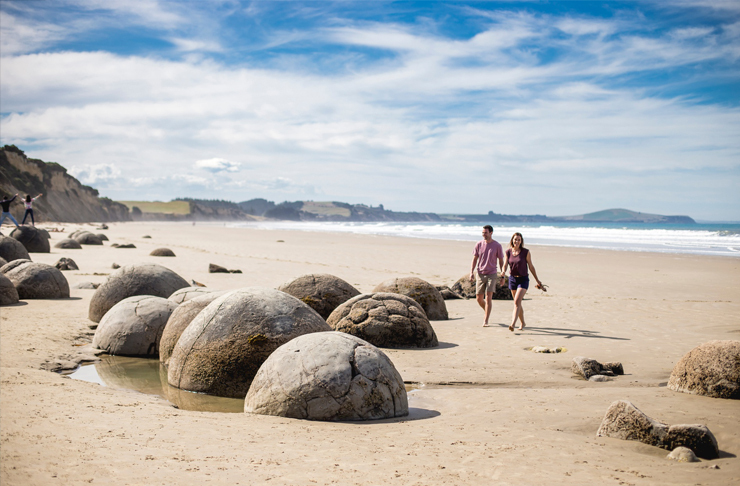 This North Otago beach is littered with unusual and extra-terrestrial-like spherical, boulders that span up to two-metres high and weigh several tonnes! With their enormous size and random placement, this beach is a haven for inquisitive folk wanting to see what the boulders are truly about. 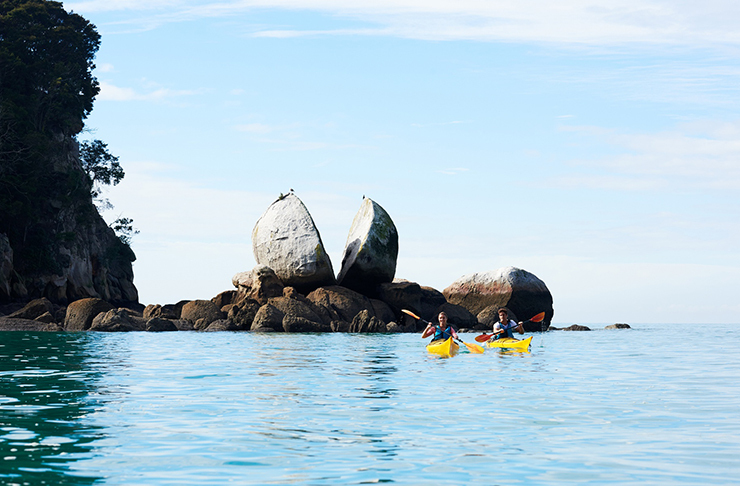 Jump from boulder to boulder, look out for nearby sea-life and marvel at the fact that you have visited one of New Zealand’s oddest and extraordinary wonders! The Blue Springs at Putaruru just don’t seem real. With its intensely, crystal-clear blue waters and surrounding luscious plant life, they wouldn’t look out of place in a Disney animation. It comes at no surprise that 70% of New Zealand’s bottled water is supplied from here. Take a short boardwalk walk through the foliage and be treated to magical views of the clear waters and coral life beneath. PS. keep an eye out for fairies! Forget paying for an afternoon at an over-priced spa pool, instead, don your togs, grab a spade and get ready to dig your very own! Head down to Hot Water Beach for a unique experience of building and digging your own naturally-filled, hot-watered pool at low tide. With the natural, chemically-infused water reaching temperatures of 64°C, be careful when lowering your sacred parts in first! With picture-perfect views with every step, and postcard-worthy snaps to be had at every turn, Abel Tasman National Park is a one-stop shop for everything stunning and glorious. Complete with shimmering, light-blue waters and fine-grain sandy, white beaches, it really is the essence of paradise. Take a water taxi to the starting point of the leisurely walk and enjoy stunning surroundings and secret, naturally-formed water slides and picnic opportunities. You really can’t get much better. Whether you walk, cruise, kayak, drive or fly, there is something for everyone at Milford Sound. With vast mountains and cascading waterfalls surrounding the deep, inky waters, it’s a vision at any time of the year. Keep an eye out for penguins and dolphins as you cruise the Sound and be sure to wear your waterproofs as the waterfalls tumble all around. With its pristine scenery and rolling mountains, it sure is a natural sight to behold and one that could not be left of this list of natural, New Zealand wonders!